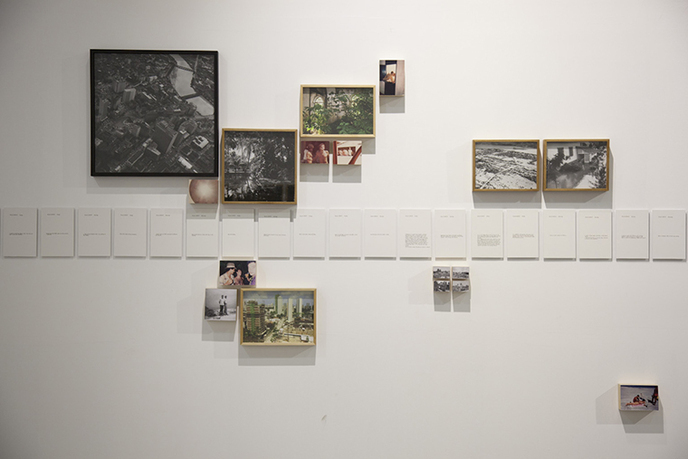 Jonathas de Andrade, Tropical Hangover (detail), installation of new and archival photographs and text, 2010, Istanbul. Courtesy of the artist. Gasworks presents the first solo exhibition in Europe by Brazilian artist Jonathas de Andrade. 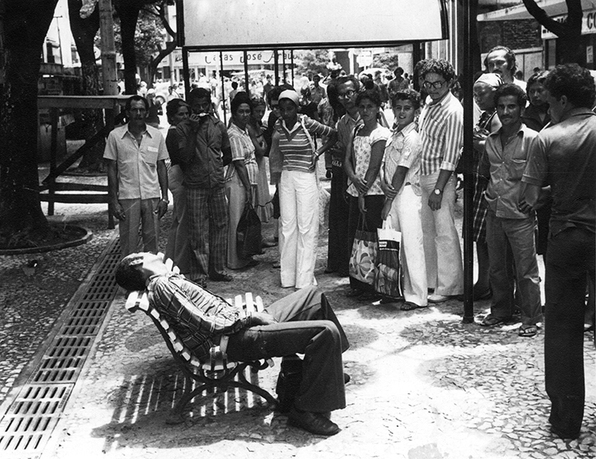 De Andrade works with photography, installation, and film to look at the relationship between social history and urban development, exploring themes such as the failure of modernity and cultural amnesia. Combining artistic intuition and personal experience with investigative and architectural research processes such as mapping, surveying, and consensus–taking, he grapples with the social and cultural conditions of place. De Andrade lives and works in Recife, in Northern Brazil, a former bastion of tropical modernism and also one of the first places in Brazil to be occupied and colonized. His exhibition at Gasworks consists of an ambitious new commission based upon research into the historic and contemporary uses of his home city. Jonathas de Andrade lives and works in Recife, Brazil. He has recently been nominated for the 2011 PIPA Prize, the 2012 Deutsche Börse Photography Prize, and the 2012 Future Generation Art Prize. He was also the recipient of the 2011 Prêmio CNI-SESI Marcantonio Vilaça para Artes Plásticas. 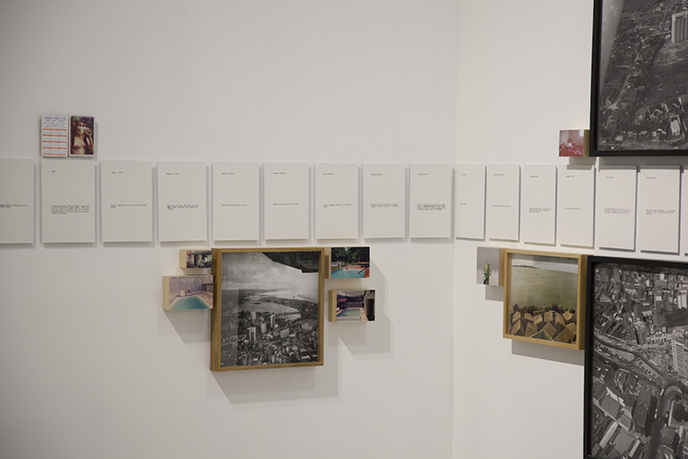 His recent exhibitions include The Ungovernables, at the New Museum Triennial, New York (2012); the 12th Istanbul Biennial (2011); Ressaca Tropical, Galeria Vermelho, Sao Paulo, Brazil (2010); and the 29th Bienal de Sao Paulo, Sao Paulo, Brazil (2010). Robert Leckie is exhibitions curator at Gasworks. He studied performance and visual arts at the University of Brighton and contemporary art curation at the Royal College of Art, London. He has recently cocurated Human Capital at Virreina Centre de la Imatge, Barcelona (2012); as well as The Anabasis of May and Fusako Shigenobu and 27 Years without Images (2012) and All I Can See is the Management (2011), both at Gasworks. Established in 1994, Gasworks is a visual arts organization with a strong reputation for discovering and introducing new international and British talent to London. Committed to supporting the research and production of work by emerging and innovative artists, Gasworks houses artists’ studios, an ambitious program of residencies, exhibitions, events, and outreach projects. Gasworks' activities and programs are informed by its connections with Triangle, a global network of over thirty grassroots organizations that support artists' development and international exchange. This unique access to artists in Africa, Asia, Latin America, Europe, and the Middle East enables Gasworks to promote new and challenging views of contemporary art.